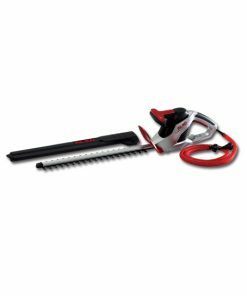 Professional hedge trimmer with single-sided blade for trimming applications. Low weight and low vibrations. 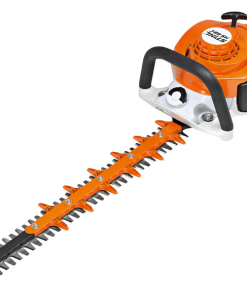 Stihl HS86T Hedge Trimmer with 40 Blade Especially coordinated gear ratio with up to 5000 strokes per minute. High blade speed and a finer cut. 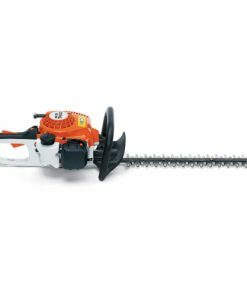 Stihl HS86T Hedge Trimmer with 40 Blade Intense vibration at the handles of power tools can lead to long-term effects on blood vessels in the hands and arms. STIHL has therefore developed an effective anti-vibration system whereby the oscillations from the machine’s engine are dampened which significantly reduces vibrations at the handles. 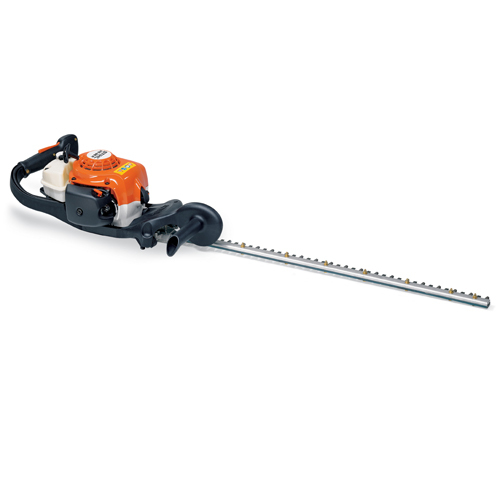 STIHL hedge trimmers with single-sided blades are ideal for cutting between waist and chest height hedges. 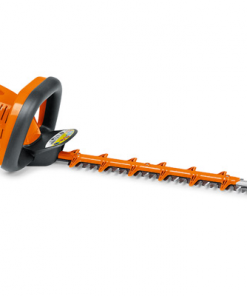 Stihl HS86T Hedge Trimmer with 40 Blade. 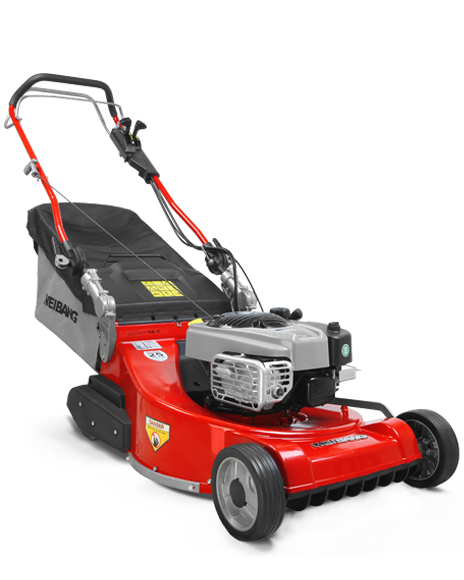 A small fuel pump delivers fuel to the carburettor at the touch of a button. This reduces the number of starting pulls required following extended breaks in operations. 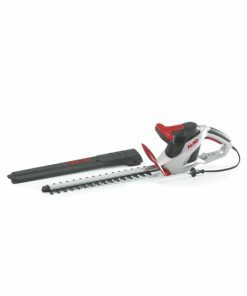 Stihl HS86T Hedge Trimmer with 40 Blade. love this machine, stihl you never ever let me down.